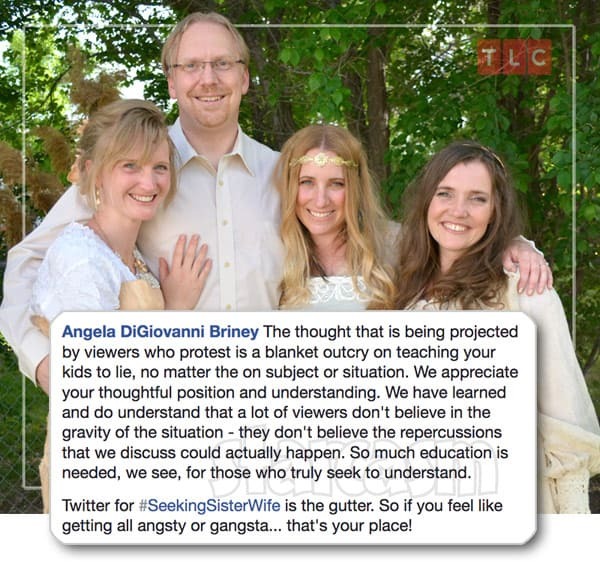 On the most recent episode of TLC’s Seeking Sister Wife reality series, the Briney family opened up about the risks that they were taking by appearing on a reality show while living together in the state of Utah, where cohabitation is illegal. Patriarch Drew and his two non-legal wives reveal that they risk going to prison if the family is reported and they are found guilty of violating Utah’s cohabitation law. 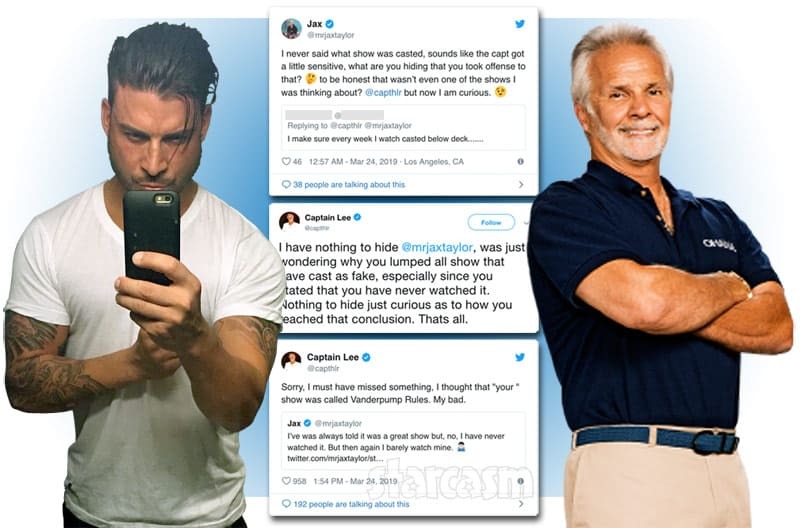 Social media seemed a bit unimpressed with the family’s fears, and there were numerous reactions suggesting the family was being a bit overly dramatic about the risks that they are taking. I think a lot of the confusion stems from the fact that there are so many polygamists living and cohabitating (living under the same roof) in the state of Utah. They’re not getting arrested, so why are the Brineys so scared? My impression after doing some research, and from covering the Brown family from Sister Wives — who also left the state of Utah prior to their first episode airing for fear of being arrested — is that the law is one of those that is selectively enforced. If you don’t make waves, and you keep your heads down, there is very little risk of arrest. But, if you are open about cohabitating — and you can’t get any more “open” than starring in a reality series — then that forces the hand of law enforcement and they are obligated to make an example of you. 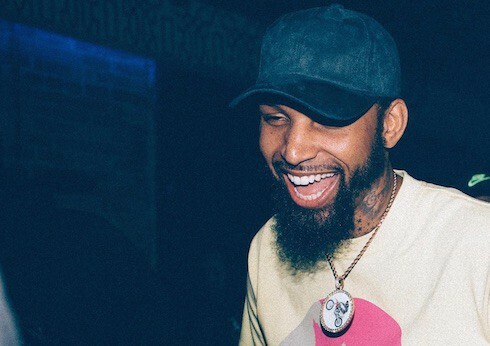 I mentioned the Brown family, and fans may recall that family’s dramatic exodus in the middle of the night. (Granted, the imminent arrest aspect may have been overplayed a bit by producers.) Kody and his wives filed a lawsuit against the state of Utah in 2011 contesting the constitutionality of their cohabitation laws, and they scored a huge victory — essentially overturning those laws! However, a federal judge reversed the decision on appeal, so everything is back to the way it was until (or if) there is another decision made from a higher appeals court. With the threat of arrest being a real one, especially given the fact that their law-breaking lifestyle would soon be airing on a reality show, the Brineys have left Utah behind and relocated to Oregon. The relocation had a bit of polygamy-based drama as well. The Brineys originally planned to move to Idaho, where they had a house they were in the process of purchasing. Unfortunately, that purchase fell through. “Yeah – last minute, the man in charge said no sale or business with wicked people like us so at the eleventh hour we were without a home to move into and no job to boot,” Drew reveals. “It was sort of stressful.” I’m guessing we will see that all play out on the show. Meanwhile, the Briney family received some criticism over openly encouraging their children to lie in order to protect themselves against being arrested. Drew took to the family’s blog to share a very lengthy post about the real danger they faced and the ethics of lying in certain situations. But Utah doesn’t really prosecute do they? First of all, yes, Utah does prosecute. They are picky about it – and to many polygamists, it seems a bit too random to know whom they’ll prosecute and whom they won’t to make an educated guess. It looks like they are much more interested in prosecuting people who are vocal than people who abuse (they have been notified of abusers but apparently do nothing to pursue those people). They also use legal means to take lands and monies away from polygamist groups (look up FLDS lawsuits in Utah – I advised AUB this would be the state’s approach to persecution before it started happening). They also use the law to award custody to people leaving polygamy (I know of ONE exception after 16 years of practice in Utah) so polygamists lose their children, often under very unfair circumstances. I’ve seen attorneys demand supervised visitation because someone was a polygamist (no allegations of any abuse whatsoever) and I’ve seen judges order people to NOT teach their religion. So, you know, no big deal, right? Doesn’t the Bible (9th commandment) say we shouldn’t lie? Hmmm … the commandment we read in Exodus 20:16 says: “You shall not bear false witness against your neighbor.” This says lying against your neighbor is a sin and it seems to imply a legal or ecclesiastical court by using the word “witness.” Is that just semantics? Just an excuse? Well, let’s think deeper. What happened with Abraham and Sarah? Twice, Abraham was deceitful about Sarah being his wife. Yes, I know she was technically his sister from a Biblical perspective but why did he say she was his sister? To avoid getting killed. And God horrifically punished Abraham for lying about it … right? Nope. God cursed the Pharaoh and threatened to kill the king who took her to wife if he slept with her. In the second instance, God told the king that Abraham was a prophet and would pray and bless the king’s family if he let Sarah free. And what was the king’s answer? He claimed to be innocent and noted that he relied upon Abraham’s false representation and how did God reply? That was why he wasn’t destroyed – God gave him a chance to make the right choice by returning Sarah to Abraham. Does that sound like God was pretty angry at and unsupportive of Abraham for lying? If God was upset about Abraham’s lie, why didn’t He set Abraham right after the first mess up in Genesis 12? And why have his back again in Genesis 20? Well, reasonable minds may differ but the never lie mantra doesn’t work for me. If I’m protecting Anne Frank from the Nazis, I’m lying to protect her all day long. Worship whomever you desire but I worship a God of love and principle and I see no true principle in letting Anne Frank die at the hands of Nazis because I need to never lie. Kill her if you like but I’m not living a life based upon principles like that. 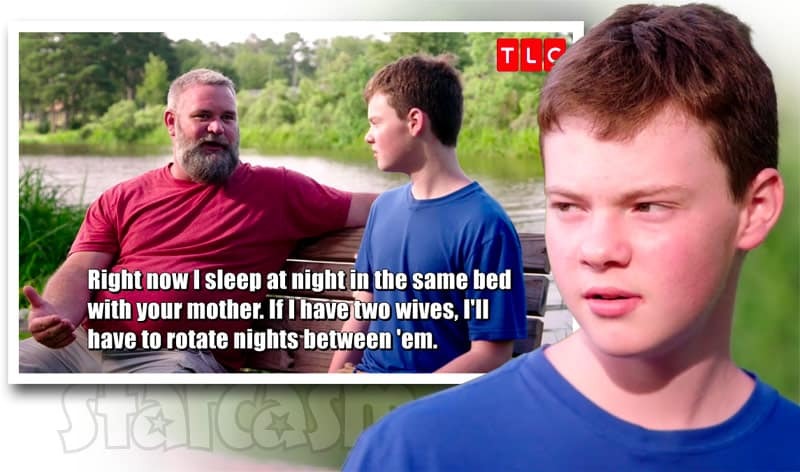 In the show, TLC was gracious enough to include my instruction to my children that there is only one exception to lying: to protect an innocent person from harm. Maybe, you disagree. Maybe you believe that it is only okay if the person might get killed – Abraham’s life was on the line. I can respect that perspective. It isn’t explicit in the Biblical text. I have a hard time believing God is okay to turn over Anne Frank to Nazi soldiers for a good old fashioned beating just so I can be 100% honest but I can respect your belief in that principle. God let people suffer in the past – maybe He has good reason to let it be so … we could debate that all day long, bring up Christian martyrs over the ages, Mormon lying during the Reed Smoot hearings, the article Lying for the Lord by B. Carmen Hardy, and a host of other topics. I’m game for the intellectual conversation. I’ve done plenty of thinking about this already but I’m always willing to think harder … and deeper. My only point here is that we need to think more carefully and consider that these issues are not as black and white as people think. When does your answer change so you become unwilling to lie? My answer is when the state of Utah wants to take away my children and put their mother in prison to enforce a law already found to be an unconstitutional infringement of my religion, free speech, freedom of association, freedom of privacy, etc., I’m not willing to tell the truth to make them foster children. Their mothers are all very good mothers and they love them very much. It would only harm the children to be raised elsewhere. Newest wife Angela Briney also took to social media to respond to questions about the morality of lying and the actual legal risks the family members would be taking if they remained in Utah. COMMENTER: What made you decide to go public? ANGELA: Thanks for asking, Lisa. We decided to go public in an effort to help this state tyranny be put to an end. Supposedly many have “turned us in” to DCFS for emotionally abusing our children. What they don’t realize is that this is nothing new to polygamists. This is age old in the history of our religion and land. The polygamist families who settled Utah came here to escape tyranny like this, but soon they found themselves on the outs again and having to lie and hide and live undercover or face being torn away from their wives and children. The ripple effect to present day is strong. The plural parents of today are the children and grandchildren of the men who went to prison and had to leave them fatherless. They live in legitimate fear of the same thing happening to them because the same archaic laws still exist – not because they are long forgotten logs in old records, but because they are renewed with fury. It is extremely insensitive for people to flippantly suggest that everyone just move. Centuries old family roots and inherited lands are in Utah. Family trees wider than one can even imagine permeate the state. Communities with thousands of members abound. It is no small task to walk away emotionally, let alone financially. The rabbinic sage Hillel the Elder famously said, “If I am not for myself, who will be for me? If I am only for myself, what am I? If not now, when?” <--- This is our why. Needless to say, we appreciate those who seek to understand. Thank you. We would like to see all of this outrage redirected towards the state for their abusive and unconstitutional laws. P.S. Not mad... just passionate COMMENTER: Out of curiosity, what was controversial about this? The example of a justified lie that Drew used to introduce the concept (lying to a Nazi) is the textbook challenge to the flawed Kantian deontological moral theory — a challenge which anyone who has taken a basic ethics course would identify immediately as valid, and almost nobody ever objects to on its face. So are the objections actually to the specific subject matter here rather than to the idea of lying for a greater cause? I’m almost afraid to Twitter search this for fear of losing the rest of my day. ANGELA: The thought that is being projected by viewers who protest is a blanket outcry on teaching your kids to lie, no matter the on subject or situation. We appreciate your thoughtful position and understanding. We have learned and do understand that a lot of viewers don’t believe in the gravity of the situation – they don’t believe the repercussions that we discuss could actually happen. So much education is needed, we see, for those who truly seek to understand. Twitter for #SeekingSisterWife is the gutter. So if you feel like getting all angsty or gangsta… that’s your place! One thing’s for certain — Drew and Angela are more than capable of defending themselves on the keyboard! In the end, I think the cohabitation laws in Utah are absurd, and I admire the Browns and the Brineys for fighting to change not only the laws, but more importantly, the public’s perception of plural marriage. I can remember when Sister Wives first started and I just couldn’t get over the weirdness of Kody having multiple wives! Now, I watch new episodes and it seems completely normal — I’m more focused on what is going on with the individuals. If I were riding on a bus tomorrow and the person beside me revealed that he or she was in a plural marriage, it would be odd, but I wouldn’t feel alienated from that person because of it. That’s an amazingly positive achievement — even if is similar for only a portion of those folks watching these shows. Whoa! I really went off the rails there! Ummmm… back to the original post and the questions posed. Were the Briney’s exaggerating the risk of being arrested for living together? 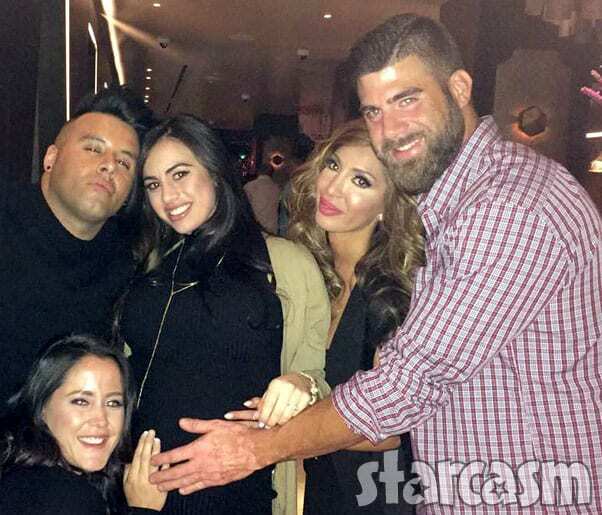 Given that they were going public in the form on a reality show, absolutely not. Where did they move to? Tigard, Oregon, which is just outside of Portland. 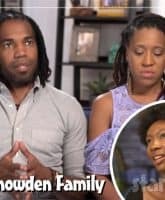 Was it OK for them to ask their children to lie about their parents’ relationships and living situation? I agree with Drew’s argument, but I think this one is best left open for debate. 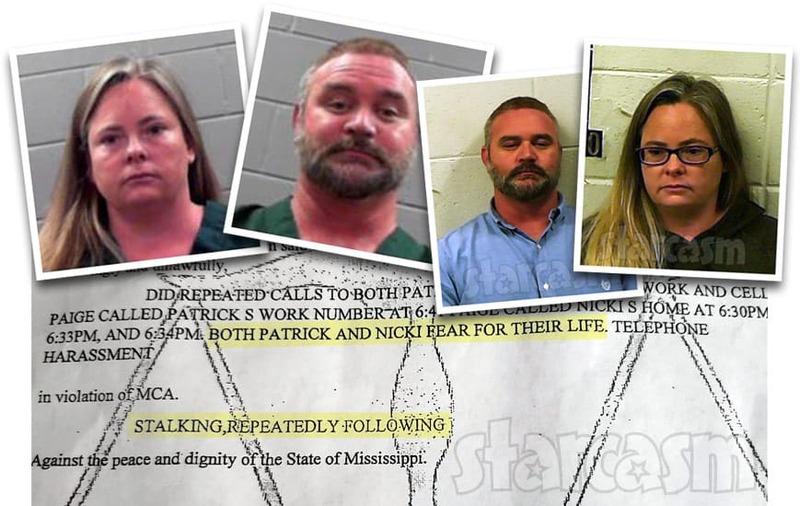 Meanwhile, you can keep up with the Brineys and the other families on Seeking Sister Wife with new episodes airing after Sister Wives on Sunday nights at 10/9c on TLC.